Every year Jim digs over the vegetable side of our garden. As he makes his way along it with a garden fork, he pulls out stones, tough roots, weeds, small bulbs and occasionally the rogue onion or beetroot which missed the harvests. He&apos;s fairly meticulous. Yet every year, without fail, when that strip of land looks bare, in the middle of spring, a single plant sprouts up. Slap bang in the middle. Sending a thin bending-on-the-wind kind of green leaf up. Some sort of narcissus. Every year. No matter how thoroughly you dig. Or pluck. Or pull. It must grow slowly, yet I never notice it until it&apos;s at least eight inches tall. Like a chin hair. Not that they are ever 8 inches long. Unless you&apos;re going for that kind of look. This year, rather than scowl at it, I&apos;m going to let it grow. Give it a little bit of time, maybe it&apos;ll turn into something beautiful. 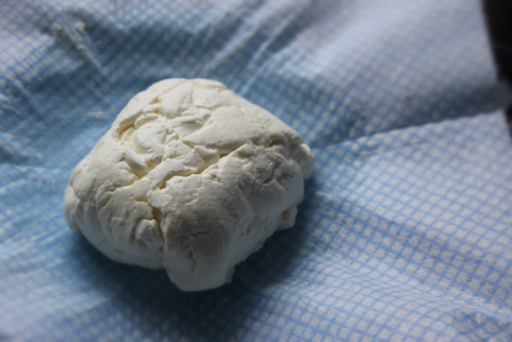 Like this homemade strained yoghurt cheese. 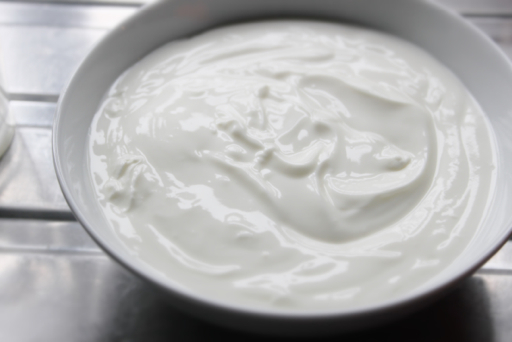 It transforms sour natural yoghurt, something I don&apos;t eat on its own (unless it has a copious amount of honey in/on it), into a soft spreadable creamy cheese with just the application of time and a little bit of gravity. Really. You don&apos;t need fancy thermometers, muslin, pans or chemicals. Two ingredients. 1, Lay your clean jay cloth into the base of the sieve creating a bowl. Place the sieve over a large bowl. 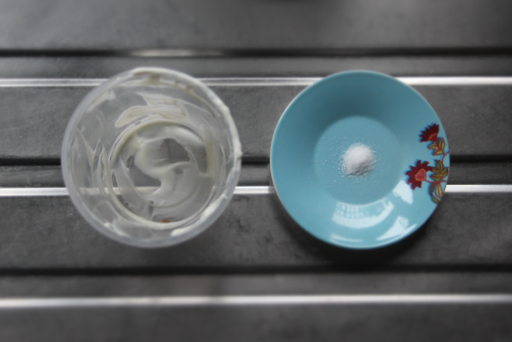 2, Gently stir the salt into the yoghurt and pour into the prepared sieve.Gather the edges and tie securely. 3,You now need to suspend the yoghurt over the bowl. I used a fruit bowl which had a banana hook. It&apos;s really important that you don&apos;t poke the bag or squish it - no matter how tempting that would be. The whey will start to drip out almost immediately. 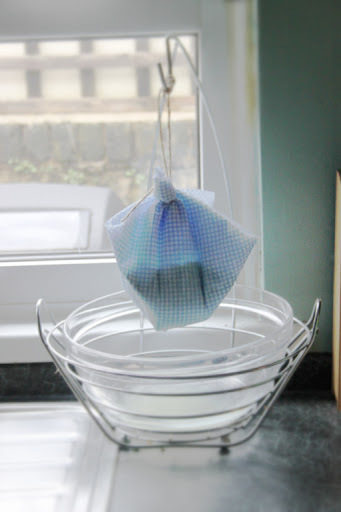 4, You need to hang the yoghurt in a cool place for at least 18 hours or more if you want a firmer cheese. I left mine in a cool spot in the kitchen, but the fridge is good if your kitchen is a bit warm. 5, After 18 hours, you will have a ball of cheese which you can pick up. Cut into 8 pieces and roll into equal sized balls. 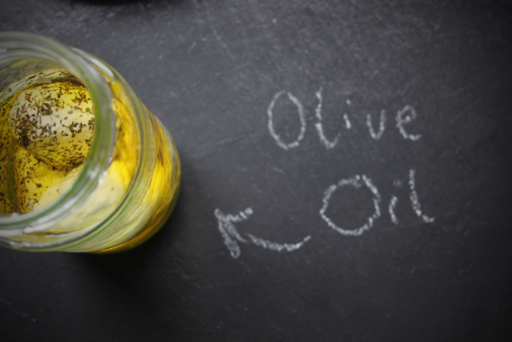 A little splosh of olive oil on your hands will stop them sticking. 7, You can then roll them in herbs or spices. I rolled mine in rosemary, mint and black pepper. 8, Place them in a sterilised jar with enough olive oil to cover them. 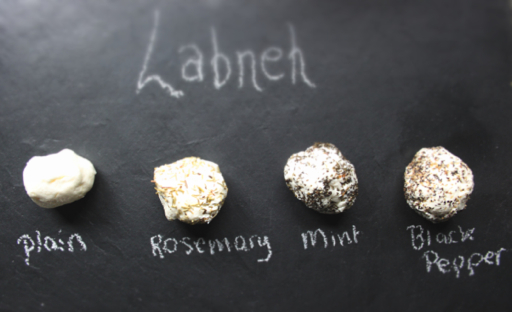 Store the labneh in the fridge, it will last a couple of weeks. You can also cover and store the whey, brilliant for baking bread. I used mine in Spelt & Pumpkin Seed Crackers. i have cleared out garden beds in the past and dug so deep, and thought i got every bulb... but there is always a couple that hide! my mum has made labneh, but our recipe recommended overnight draining only - clearly not sufficient as we couldn't roll balls (still tasted good!). i have since read anywhere from 48-72 hours produces good results. yours look amazing! What an impressive recipe! They look great! Thank you Natalie, they are cute as little gifts. I love this post. 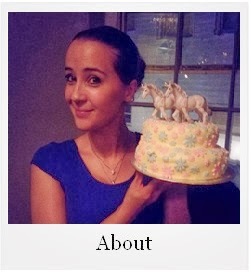 The writing, the photos...just everything. It's so simple yet so evocative. I feel compelled to try making labneh now! 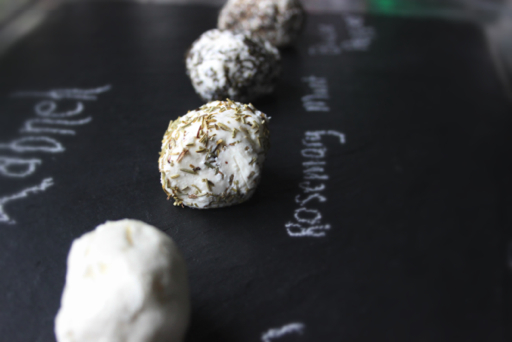 Thank you :) It's so easy, it's tempted me to have a look into making more cheeses now! 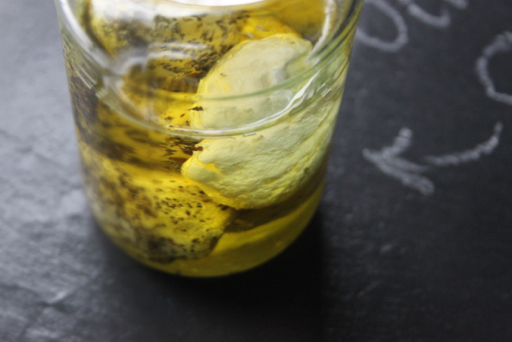 Now, I've made labneh a few times, but I've never added it to olive oil. It looks great and I'm dreaming of the taste right now. Without the salt and vanilla seeds and not left quite so long, it makes a great accompaniment to fruit or spread in / on a cake. Thank you Choclette, I didnt even think about using this in a sweet capacity - can imagine it sweetened and sounds so lush on cakes! Definitely going to try that in the summer!